I was flabbergasted when I read a comment, by a CNN reporter of all people, who wrote: “the Mueller report looks bad for Obama.” It was an opposing opinion (Op-Ed) by Scott Jennings, who I presume may soon be looking for a new situation. The reason he said it is not because it was a revealed secret or a passed over comment found in some obscure document, but because it stemmed from a comment that fell from the lips of former President Obama himself, that seals the deal. When Obama learned the Russian’s were really hacking or trying to hack into American internet systems, and was asked about it in a public news conference, passed the issue off by acknowledging he knew about it and told Russia’s Premier Putin: “to just cut it out.” And that was the end of that, until the Mueller Report came out this week concluding an investigation that began in 2014. That so called investigation of 2014 was, in fact, the first action pre-emptive assault to protect Obama’s legacy from Republican attacks, like a “frogmen” sneaking up on a beach before an attack to lay traps and collect information. Mueller’s appointment, after Trump became President, was akin to the noisy beach landings of a full force attack on the enemy. As it turns out the enemy is us, or at least those designated to protect us, the FBI, DoJ, DCI and the IRS. This all happened on Obama’s watch. He cannot deny it and the press won’t report it, but Scott Jennings did and he pulled the scab off the wound. If Hillary had won, It wouldn’t have made any difference, but she didn’t, and now it’s the SHTF moment and it’s fun watching the rats scurrying for cover. DC is the place now for a good lawyer to sharpen his spurs. $$$$! Apart from the Mueller Report exonerating our President from accusations of colluding with the Russians and interfering with a criminal investigation (obstructing justice), just what have we learned? Well, Obama’s incompetence as a President for a start. His inept posture toward Russia’s Putin, driven by his criminal behavior in his nuclear negotiations with Iran, even to bribing them with billions in ransom money under the guise of repayment of their own impressed funds, a deal that was a singularly disastrous foreign policy act which President Trump recognized immediately as inimical to the best interests of America and ended. So was Obama’s Arab Spring nonsense, his Libyan disaster, his Fast & Furious debacle and Obamacare, among others. People are going to prison. Bet on it! In their earnest efforts to find, or create a crime which they could hang on Trump to impeach him, the FBI and the DoJ exposed themselves to be as equally inept as criminals as Obama was a president. Their very acts over two years doubtless must fall within the definition of a “conspiracy to commit treason.” Who can deny it, yet, the feckless Democrats, as all villains are want to do when they lose, attack the messenger. Well, I suppose it’s safe to scratch off Buzz-Feed as a reliable source of insider information on the Washington DC political scene. They now rank right up there with CNN, MSNBC, et. al. : as organs of fake news dedicated to only one thing, saving the Democrat party and its socialist agenda by eliminating the killer virus that is choking them to death, Donald Trump. I’m surprised Mueller himself immediately debunked the Buzz-Feed story about the President directing his lawyer, Michael Cohen, to like to Congress and I suspect a rat here somewhere. That caught the Left-wing media totally by surprise. They changed their talking points to “what ifs” and rephrased their words to fool us, they think, into believing there was still a chance to find some tawdry evidence that could finally impeach Trump. That’s the face of desperation. The demented talking heads of the left wing-media will, at any hint of a possible scandal, breath life into it in the vain hopes that they will expose some measure of truth that will grow into a scandal and end Trump’s presidency. Buzz-Feed tried to fulfill that mission and has now elevated itself to the highest level of distrust. By breathlessly publishing this false story without fact checking has rendered it as untrustworthy. For any group that pretends to be an objective reporting organ, to not even bother considering the “Red Flags” that identify fake news, seals the deal on their irrelevance. Now, anything they publish will be suspect! The media, morally and ethically challenged, considers us to be politically irrelevant. They don’t really care what they say just so long as some of it sticks, somewhere. If they all say the same thing, then it must be true! Indeed, they believe their own copy and have thrown all standards aside in their singular, unquenchable desire to bring down Donald Trump. Inherent in this daily assault of fake news is the primary goal of the Democrat-Socialists, the neutering of America’s heritage, culture and traditions for the sake of “diversity, multiculturalism and, truth be told, the elimination of all vestiges of influence of the European white male. Consider the wall President Trump wants to build on our southern border. Under Obama, all the Democrats demanded it. Videos of their earnest desire to protect America from invasion by illegals are all over the internet. So what does the media do, ignore the historical past, focuses on the immediate future and whines about poor illegals and unemployed non-essential federal government employees, without a cent for the protective barrier we all wanted, once. The media is all in on tooting the Democrats horn on policies that ignore Americas Vet’s, it’s tax payers, it producers and citizens of long standing, all for the sake of spending vast amounts of treasure to sustain people who don’t belong here simply because their presence gives them a humanitarian claim to feast at the trough of public assistance. When will the money run out? The anti-Trump media, keen to be first to bring down the President, seems destructively eager to seize upon any and every rumor and regurgitate it out as factual truths. This time Buzz-Feed and the regurgitator’s got their fingers caught in a trap. Even Chris Wallace, on today’s Sunday Fox news, brought up the issue with Vice President Pence, apparently to achieve a “gotcha” comment. If Mueller already debunked the Buzz-Feed report, why didn’t the VP just say, “Why are we even talking about that issue Chris? It’s dead!” Well, its simply to keep it alive through one more news cycle. Chris Wallace, to be fair and balanced, just regurgitated leftist nonsense. “Breaking News:” John Kasich, the unemployed former Governor of Ohio has signed on with CNN as a political commentator. Now, how can that possibly be “breaking news?” CNN has morphed from a news agency into the Current Narrative Network for advancing Democrat propaganda that few people seriously watch for any reason except for laughs. The reason is that John needs a platform if he seriously wants to stand for President against Donald Trump. The governor himself has become something short of a laughing stock simply because he insists on nursing the mad dream of becoming the neoconservative president of America. Going to CNN will not advance his cause. His daily struggle to convince us that Trump still remains a danger to America, and he could do better as the President, is a pipe-dream. Kasich, once a congressman, is a product of the old Wash. DC world of ‘go along to get along,’ politics of comity with your enemies through bipartisanship, hands across the aisle, consensus on policy (so long as it’s socialist), that sort of thing. Kasich’s had his shot. 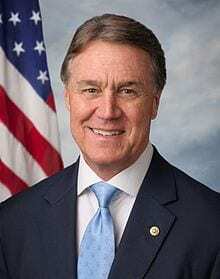 He left the DC Swamp to become Governor of Ohio figuring that was his best chance of achieving his dream. As he lost to Trump (4th place), does his opinion even count any more? Neo-Conservatism was voted out of the Republican Party with Trumps election and John Kasich ain’t going to bring it back. To maintain a public platform for airing his opinions, only CNN, and maybe MSNBC, remain to fulfill his mad dreams and, will, who really cares? This is Kasich’s official internet announcement: “We are excited about what this means for Gov. Kasich and his growing ability to weigh-in on the issues that Americans care about. We expect to see him continue calling on Washington to end the non-stop politicking an actually do something to offer real solutions to America’s challenges. What’s our (t)ask today? It’s simple. With more interviews comes more things to share and grow Gov. Kasich’s message and audience,” followed by the standard plea for a donation. I’ll give John an ‘A’ for Attempting, but now, he should just go away, he’s out of the game and his time is up! Pelosi and Schumer, Harry Reid before them, John Boehner and Paul Ryan, like Kasich, are all products of that once elite social club of poor politicians turned rich by the longevity of their political service. Then came Trump and the whole fabric of political comity has been ripped asunder. Despite his dreams, John can’t fix his damaged image, the one Trump gave him on the debate stage in 2016. He can bloviate his opinions on CNN until he actually becomes one of them, a socialist in name as well as deed but, he hazards his integrity to continue this career path if it’s only a job he needs. If viewers of CNN are expected to waste their time considering John’s opinion, then they can watch any of the talking heads on CNN. They don’t need John Kasich. CNN needs Kasich because for them, he is the once enemy who has seen the light and will become their useful idiot. For the anti-Trump CNN, having an alleged Republican fall into their hands like a ripe banana, is pure gold. Of course they’ll give him as much free airtime as he needs to challenge Donald Trump in 2020. Kasich will serve as a leftist pawn, his persona trapped in the mire of their progressive (socialist) dogma. John will die there, lost but not forgotten. A pity! Schumer’s Shutdown, The Dirty Secret. The Schumer Shutdown was a calculated ‘game of chicken,’ two objects, amnesty for illegals vs. building a wall, objects hurtling headlong at each other to an inevitable collision. For one side to achieve success the other side must give up, move away and yield the field. Failure to do so should be like the immovable object meets the irresistible force, a smash up of incalculable violence unless, of course, one of the objects was squishy. Hummn? The calculation has always been predictably the same, with the same outcome, Democrats win, Republicans lose. But not this time. No, this time one of the energy forces was Donald Trump, not a Republican, but definitely a leader. The Republicans haven’t enjoyed real adult supervision like this since Ronald Reagan but, they haven’t yet moved to embrace Trump. Schumer, secure in his arrogant insouciance, called for a government shutdown and Trump didn’t respond! He all but laughed off Schemers threats, ignored alarming the public and very efficiently hung the shutdown debacle around Schemers neck, and it drug him down. The media was shocked by Trump’s handling of the “Dreamer” negotiations. “Why, that was not how the game was to be played.” But nobody told Trump. Negotiations are supposed to be conducted between the political parties, a consensus arrived at and a bipartisan bill placed upon the President’s desk that he was expected to sign. Not this time. Trump made campaign promises and he expects to fulfill them. The non-Republican President already knew what he wanted, and he told them so. 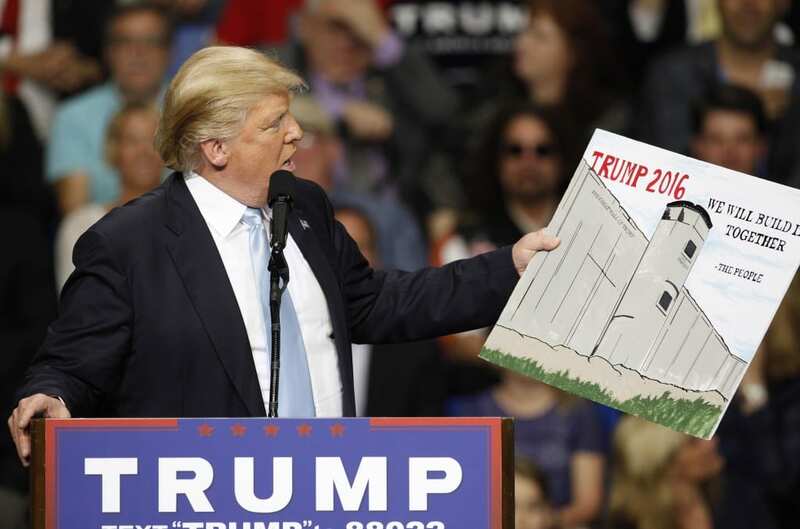 The mere political expectation for the usual order for things, heretofore designed to meet Democrat demands, amnesty for all without a wall, simply wouldn’t pass muster for President Trump. Shock, OMG! Trump didn’t get involved in the detailed negotiations, he simply told them he would have the wall before any amnesty for illegals would even be considered. Schemer thought he could call Trump’s bluff, with the American people behind him. But Trump wasn’t bluffing. It took two days for Schumer to realize that Americans weren’t with him after all and he give up, a first! Schumer’s dirty little secret in this game of chicken is the dangers of underestimating Donald Trump. For over the first full year of his presidency, Trump has continuously demonstrated his ability to connect with the people on all the issues the politicians ignore. Trump is absolute in trusting his instincts and he knew he would prevail because he understands the peoples gestalt far better than poll takers, precinct workers and the fake news media. More importantly, Trump clearly doesn’t trust Republican leadership either, locked as they have been for so long in the policy of failure. We see changes here with Paul Ryan realizing where genuine conservative leadership comes from and adjusting his position in the House. Mitch McConnell is slowly coming around too. The taste of victory is sweet and delicious. The taste of failure, a first for Democrats, is like the bile rising up from an upset stomach. What is Trump’s secret? First, he doesn’t even try to appease the NYT or Washington Post or, more especially, CNN. He doesn’t need their approval because nothing he could do, short of quitting, would ever earn their respect. Instead he attacks them as the purveyors of fake newsies and propaganda they have become and therefore he delegitimizes them as trustworthy sources of real news. The people love it and Trump knows it. We can’t afford to lose this man, he’s a fighter! WASHINGTON, D.C. – U.S. Senator David Perdue (R-GA), a member of the Senate Armed Services Committee, spoke with Alisyn Camerota on CNN’s New Day about the recent tragedy in Sutherland Springs, Texas, and President Trump’s trip to Asia aimed at strengthening partnerships with these countries to denuclearize North Korea.